Uni is everywhere these days. Sea urchins are having a moment, becoming fetishized in the international “foodie” community and turning up in unlikely places (like on pasta at Otto e Mezzo). It’s not a mystery, really. Like other foods that have had turns in the spotlight — bacon, wagyu beef — they are basically just fat. Of course they taste good. It’s against that backdrop that Shanghai, never one to miss a trend, recently got its first specialty sea urchin restaurant, a Japanese joint opposite Taikoo Hui named UniBar. Curious, I took a few friends for dinner last night. For something so simple and obvious, it seemed like an easy win. God, it was bad. A modest two-story restaurant in blond wood, UniBar looks the part. The menu lists perhaps a dozen preparations of sea urchin, from tempura (stuffed into shiso leaves or sheets of seaweed and then fried) to toast and then into the obvious star of the menu, the six-variety sea urchin tasting platter (600rmb). 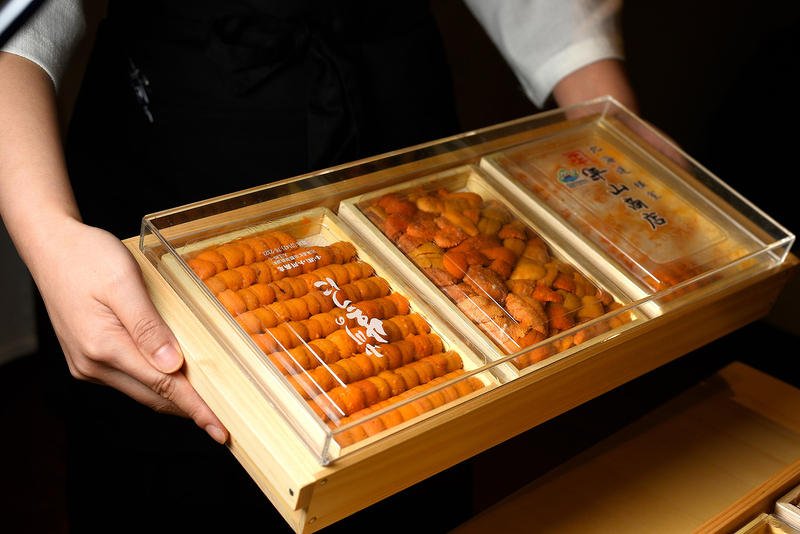 There are three main types of sea urchins from Hokkaido, where UniBar’s uni comes from, the waitress explained: murasaki uni (purple sea urchin), bafun uni (literally horse dung urchin) and yellow uni. 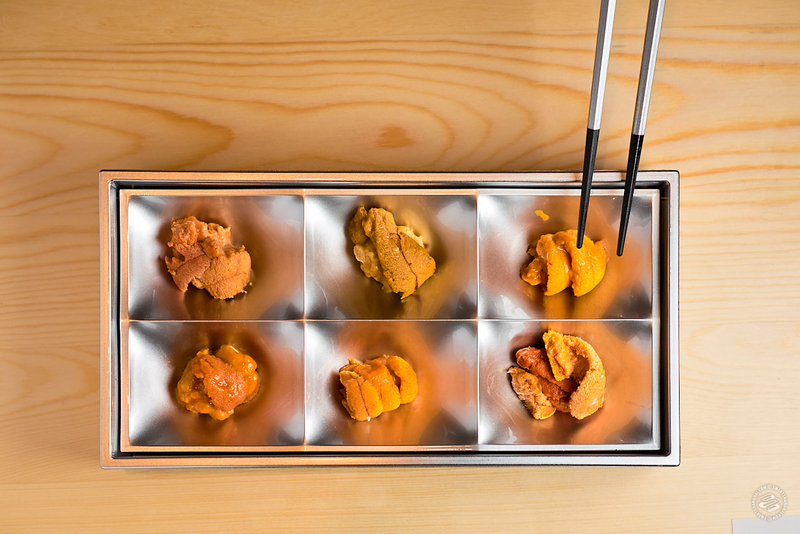 Each type was represented by two different locations on Hokkaido, giving us six types to try. In color, they ranged from mustard to dirty tan to pumpkin. In appearance, they varied in size and how feathery the surface was. In taste… in taste… what started innocently, with an orange uni tongue that tasted like persimmon, quickly turned bad, as the remaining five alternated between flavorless and overripe soft cheese. It was six flavors of disappointment. How UniBar managed to turn a simple product tasting into a grueling trip to the far side of funk, I don’t know. Perhaps they are not busy enough — we were the only table of the night — and we caught an unfortunate evening of less-than-fresh uni. Perhaps their true mission is to undermine the global trend by turning people off sea urchin. Or perhaps they are just another flash in the pan, trying to capitalize on fleeting tastes with an Insta-ready selling point, and aren’t the specialists they sell themselves as. But of course, that never happens in Shanghai. UniBar, 425 Weihai Lu near Shimen Yi Lu.